What were the true words and actions of Jesus—and just who is he, really? Are the church’s, the Bible’s answers to these questions, which have stood for ages, even reliable? Is Christianity founded upon someone’s deft design of the church or on the nature and teachings of a real, historical person? These and other inquiries have been posed by a group of biblical scholars—known as the Jesus Seminar. Their verdicts have been broadly published: magazines like Time and Newsweek have flocked to their findings. Jesus Under Fire confronts the methodology and decisions of the Jesus Seminar—most of which oppose biblical accounts. 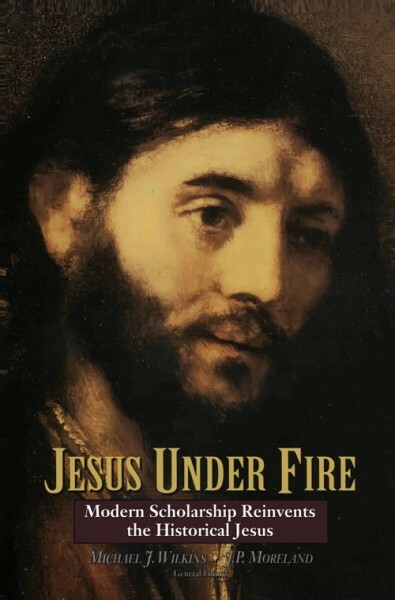 Jesus Under Fire explores the credibility of Jesus’ teachings, doings, miracles, and resurrection, and gives striking support in favor of the long-accepted biblical accounts. Readability and scholarly excellence are joined in Jesus Under Fire, which aids readers in deciding for themselves if the biblical Jesus is the historical Jesus, and if Jesus’ statement in John 14:6, “I am the way, and the truth, and the life. No one comes to the father except through me” is indeed true.